… the waiting is nearly over. 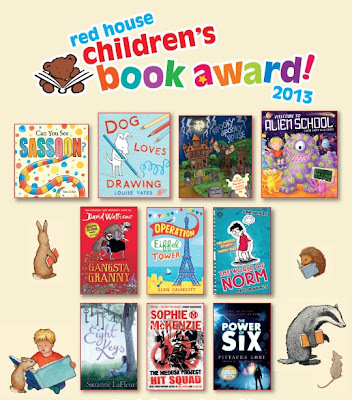 On Saturday, we will finally find out who, out of all the lovely people below, has won the 2013 Red house Children’s Book Award! 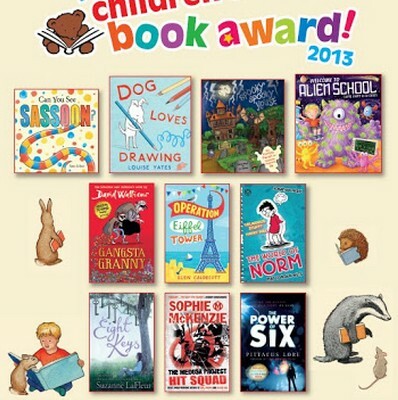 For myself and all of those involved in the Federation of Children’s Book Groups, this is a lovely, special day, the culmination of a year’s reading and hard work from all our testing groups. But you don’t have to be a member of FCBG (though we’d love you to be, and you can find out more on our website here) to join in the fun! The awards ceremony takes place as part of Imagine, the children’s festival in Southbank Centre and you can buy tickets to attend! The event is hosted by children’s comedian James Campbell, and will include dramatisations of the shortlisted books preformed by Stagecoach students as well a very special appearance by shortlisted author David Walliams and last year’s winner Patrick Ness. This is a real fun, child-friendly event, and definitely not your usual awards ceremony, so do consider joining in the fun! Tickets are available from here. See you there, maybe? COMPETITION: Win a set of tickets to the Red House Children’s Book Award ceremony! sounds wonderful! do you have any idea how long the ceremony will last? i have a very resTless 2 year old!! See you there Library Mice!